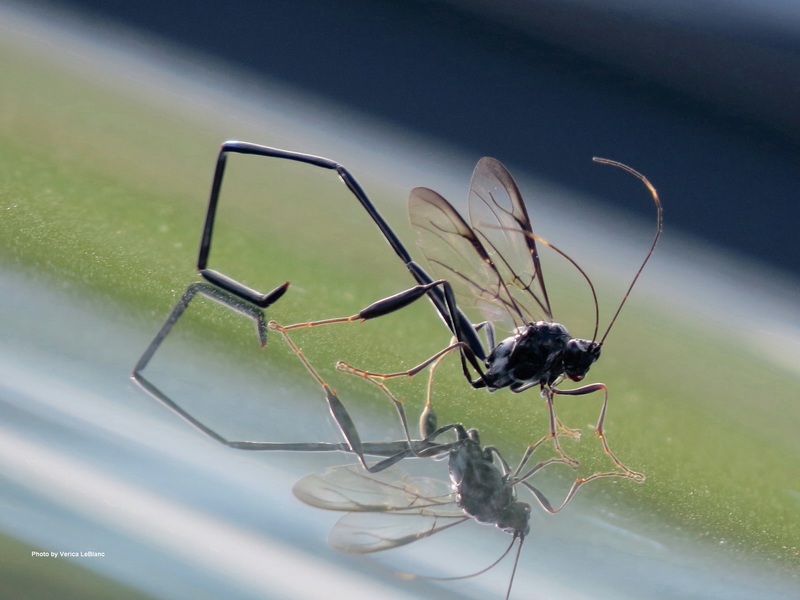 I thought Club members would be interested in seeing an excellent photo of a wasp taken by Verica on Sept. 12 at Hay Island after Phil spotted it perched on the car windshield. It’s a female Pelecinid Wasp (Pelecinus polyturator) which is told from the male by the extra long, jointed abdomen. It occurs in the eastern half of the U.S. and Canada.